Third Row Seat, iPod/MP3 Input, CD Player, ENGINE: 3.6L V6 24V VVT, 2ND ROW STOW 'N GO BUCKET SEATS, TRANSMISSION: 6-SPEED AUTOMATIC 62TE. White Knuckle Clear Coat exterior, SE trim. FUEL EFFICIENT 25 MPG Hwy/17 MPG City! SEE MORE!KEY FEATURES INCLUDEThird Row Seat, Rear Air, Back-Up Camera, iPod/MP3 Input, CD Player Rear Spoiler, MP3 Player, Third Passenger Door, Privacy Glass, Keyless Entry.OPTION PACKAGES2ND ROW STOW 'N GO BUCKET SEATS 3rd Row Stow 'N Go w/Tailgate Seats, ENGINE: 3.6L V6 24V VVT, TRANSMISSION: 6-SPEED AUTOMATIC 62TE (STD).VEHICLE REVIEWSTheCarConnection.com explains In front, the Grand Caravan gives its passengers a high seating position, decent adjustment, and excellent outward vision.. Great Gas Mileage: 25 MPG Hwy.VISIT US TODAYBaxter Chrysler Dodge Jeep Ram La Vista, a full-service car dealership in La Vista, is your source for new cars, trucks and SUVs both online and in our showroom. We also sell used vehicles and certified pre-owned vehicles. At our 7010 South 124th Circle location, we also provide Mopar parts and auto repair service. We're part of Baxter Auto, the largest dealer group in Nebraska.Fuel economy calculations based on original manufacturer data for trim engine configuration. Please confirm the accuracy of the included equipment by calling us prior to purchase. 3rd Row Seat, iPod/MP3 Input, CD Player, ENGINE: 3.6L V6 24V VVT, 2ND ROW STOW 'N GO BUCKET SEATS, TRANSMISSION: 6-SPEED AUTOMATIC 62TE, Rear Air. Indigo Blue Clear Coat exterior, SE trim. FUEL EFFICIENT 25 MPG Hwy/17 MPG City! AND MORE!KEY FEATURES INCLUDEThird Row Seat, Rear Air, Back-Up Camera, iPod/MP3 Input, CD Player. Rear Spoiler, MP3 Player, Third Passenger Door, Privacy Glass, Keyless Entry.OPTION PACKAGES2ND ROW STOW 'N GO BUCKET SEATS 3rd Row Stow 'N Go w/Tailgate Seats, ENGINE: 3.6L V6 24V VVT, TRANSMISSION: 6-SPEED AUTOMATIC 62TE (STD).EXPERTS ARE SAYINGGreat Gas Mileage: 25 MPG Hwy.MORE ABOUT USBaxter Chrysler Dodge Jeep Ram West Dodge, a full-service car dealership in Omaha, is your source for new cars, trucks and SUVs both online and in our showroom. We also sell used vehicles and certified pre-owned vehicles. At our 17950 Burt Street location, we also provide Mopar parts and auto repair service. We're part of Baxter Auto, the largest dealer group in Nebraska.Fuel economy calculations based on original manufacturer data for trim engine configuration. Please confirm the accuracy of the included equipment by calling us prior to purchase. 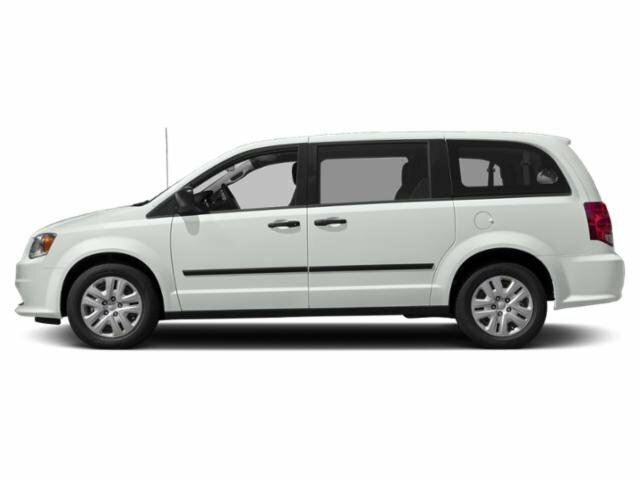 3rd Row Seat, CD Player, Dual Zone A/C, Fourth Passenger Door, iPod/MP3 Input, TRANSMISSION: 6-SPEED AUTOMATIC 62TE, 2ND ROW STOW'N GO BUCKET SEATS, UCONNECT HANDS-FREE GROUP, ENGINE: 3.6L V6 24V VVT (FFV), Rear Air, Back-Up Camera, Quad Seats. SE trim, Black Onyx Crystal Pearl Coat exterior. FUEL EFFICIENT 25 MPG Hwy/17 MPG City!KEY FEATURES INCLUDEThird Row Seat, Rear Air, Back-Up Camera, iPod/MP3 Input, CD Player, Dual Zone A/C, Fourth Passenger Door. Rear Spoiler, Third Passenger Door, Keyless Entry, Privacy Glass, Steering Wheel Controls.OPTION PACKAGES2ND ROW STOW'N GO BUCKET SEATS 3rd Row Stow 'N Go w/Tailgate Seats, UCONNECT HANDS-FREE GROUP Uconnect Voice Command w/Bluetooth, Bluetooth Streaming Audio, Remote USB Port, TRANSMISSION: 6-SPEED AUTOMATIC 62TE (STD), ENGINE: 3.6L V6 24V VVT (FFV) (STD).EXPERTS ARE SAYINGGreat Gas Mileage: 25 MPG Hwy.MORE ABOUT USBaxter Chrysler Dodge Jeep Ram Bellevue, a full-service car dealership in Bellevue, is your source for new cars, trucks and SUVs both online and in our showroom. We also sell used vehicles and certified pre-owned vehicles. At our 7713 South 19th Circle location, we also provide Mopar parts and auto repair service. We're part of Baxter Auto Group, the largest dealer group in Nebraska.Fuel economy calculations based on original manufacturer data for trim engine configuration. Please confirm the accuracy of the included equipment by calling us prior to purchase. 3rd Row Seat, iPod/MP3 Input, CD Player, Back-Up Camera, TRANSMISSION: 6-SPEED AUTOMATIC 62TE. SE trim, White Knuckle Clear Coat exterior and BLACK/LIGHT GRAYSTONE, CLOTH LOW-BACK BUCKET SEATS interior. EPA 25 MPG Hwy/17 MPG City! AND MORE!KEY FEATURES INCLUDEThird Row Seat, Rear Air, Back-Up Camera, iPod/MP3 Input, CD Player Rear Spoiler, Third Passenger Door, Keyless Entry, Privacy Glass, Steering Wheel Controls.OPTION PACKAGES2ND ROW STOW'N GO BUCKET SEATS 3rd Row Stow 'N Go w/Tailgate Seats, UCONNECT HANDS-FREE GROUP Uconnect Voice Command w/Bluetooth, Bluetooth Streaming Audio, Remote USB Port, ENGINE: 3.6L V6 24V VVT, TRANSMISSION: 6-SPEED AUTOMATIC 62TE (STD). Dodge SE with White Knuckle Clear Coat exterior and BLACK/LIGHT GRAYSTONE, CLOTH LOW-BACK BUCKET SEATS interior features a V6 Cylinder Engine with 283 HP at 6400 RPM*.EXPERTS ARE SAYINGTheCarConnection.com's review says In front, the Grand Caravan gives its passengers a high seating position, decent adjustment, and excellent outward vision.. Great Gas Mileage: 25 MPG Hwy.VISIT US TODAYBaxter Chrysler Dodge Jeep Ram La Vista, a full-service car dealership in La Vista, is your source for new cars, trucks and SUVs both online and in our showroom. We also sell used vehicles and certified pre-owned vehicles. At our 7010 South 124th Circle location, we also provide Mopar parts and auto repair service. We're part of Baxter Auto, the largest dealer group in Nebraska.Horsepower calculations based on trim engine configuration. Fuel economy calculations based on original manufacturer data for trim engine configuration. Please confirm the accuracy of the included equipment by calling us prior to purchase. 3rd Row Seat, DVD Entertainment System, Back-Up Camera, iPod/MP3 Input, CD Player, 2ND ROW STOW'N GO BUCKET SEATS, SINGLE DVD ENTERTAINMENT. FUEL EFFICIENT 25 MPG Hwy/17 MPG City! SE trim, Black Onyx Crystal Pearl Coat exterior AND MORE!KEY FEATURES INCLUDEThird Row Seat, Rear Air, Back-Up Camera, iPod/MP3 Input, CD Player. Rear Spoiler, Third Passenger Door, Keyless Entry, Privacy Glass, Child Safety Locks.OPTION PACKAGES2ND ROW STOW'N GO BUCKET SEATS 3rd Row Stow 'N Go w/Tailgate Seats, SINGLE DVD ENTERTAINMENT Wireless Headphones (IR), Video Remote Control, 2nd Row Overhead DVD Console, High Definition Multimedia Interface, 115V Auxiliary Power Outlet, 2nd Row Overhead 9 VGA Video Screen, Charge Only Remote USB Port, Sirius Satellite Radio, 1-Yr SiriusXM Radio Service, For More Info, Call 888-539-7474, UCONNECT HANDS-FREE GROUP Uconnect Voice Command w/Bluetooth, Bluetooth Streaming Audio, Remote USB Port, TRANSMISSION: 6-SPEED AUTOMATIC 62TE (STD), ENGINE: 3.6L V6 24V VVT (FFV) (STD).EXPERTS CONCLUDEGreat Gas Mileage: 25 MPG Hwy.OUR OFFERINGSBaxter Chrysler Dodge Jeep Ram Lincoln, a full-service car dealership in Lincoln, is your source for new cars, trucks and SUVs both online and in our showroom. We also sell used vehicles and certified pre-owned vehicles. At our 6601 Telluride Drive location, we also provide Mopar parts and auto repair service. We're part of Baxter Auto, the largest dealer group in Nebraska.Fuel economy calculations based on original manufacturer data for trim engine configuration. Please confirm the accuracy of the included equipment by calling us prior to purchase. Third Row Seat, DVD Entertainment System, Back-Up Camera, iPod/MP3 Input, CD Player, 2ND ROW STOW'N GO BUCKET SEATS, SINGLE DVD ENTERTAINMENT, Captains Chairs. EPA 25 MPG Hwy/17 MPG City! Octane Red Pearl Coat exterior, SE trim AND MORE!KEY FEATURES INCLUDEThird Row Seat, Rear Air, Back-Up Camera, iPod/MP3 Input, CD Player. Rear Spoiler, Third Passenger Door, Keyless Entry, Privacy Glass, Child Safety Locks.OPTION PACKAGES2ND ROW STOW'N GO BUCKET SEATS 3rd Row Stow 'N Go w/Tailgate Seats, SINGLE DVD ENTERTAINMENT Wireless Headphones (IR), Video Remote Control, 2nd Row Overhead DVD Console, High Definition Multimedia Interface, 115V Auxiliary Power Outlet, 2nd Row Overhead 9 VGA Video Screen, Charge Only Remote USB Port, Sirius Satellite Radio, 1-Yr SiriusXM Radio Service, For More Info, Call 888-539-7474, UCONNECT HANDS-FREE GROUP Uconnect Voice Command w/Bluetooth, Bluetooth Streaming Audio, Remote USB Port, TRANSMISSION: 6-SPEED AUTOMATIC 62TE (STD), ENGINE: 3.6L V6 24V VVT (FFV) (STD).EXPERTS ARE SAYINGGreat Gas Mileage: 25 MPG Hwy.MORE ABOUT USBaxter Chrysler Dodge Jeep Ram Lincoln, a full-service car dealership in Lincoln, is your source for new cars, trucks and SUVs both online and in our showroom. We also sell used vehicles and certified pre-owned vehicles. At our 6601 Telluride Drive location, we also provide Mopar parts and auto repair service. We're part of Baxter Auto, the largest dealer group in Nebraska.Fuel economy calculations based on original manufacturer data for trim engine configuration. Please confirm the accuracy of the included equipment by calling us prior to purchase. Third Row Seat, CD Player, iPod/MP3 Input, Fourth Passenger Door, Dual Zone A/C, Back-Up Camera, TRANSMISSION: 6-SPEED AUTOMATIC 62TE, ENGINE: 3.6L V6 24V VVT (FFV), QUICK ORDER PACKAGE 29H SE PLUS, 2ND ROW STOW'N GO BUCKET SEATS, Rear Air. SE Plus trim, White Knuckle Clear Coat exterior. FUEL EFFICIENT 25 MPG Hwy/17 MPG City!KEY FEATURES INCLUDEThird Row Seat, Rear Air, Back-Up Camera, iPod/MP3 Input, CD Player, Aluminum Wheels, Dual Zone A/C, Fourth Passenger Door. Rear Spoiler, Third Passenger Door, Privacy Glass, Keyless Entry, Steering Wheel Controls.OPTION PACKAGESQUICK ORDER PACKAGE 29H SE PLUS Engine: 3.6L V6 24V VVT (FFV), Transmission: 6-Speed Automatic 62TE, Floor Console w/Cupholder, Instrument Panel w/Piano Black Applique, Blacktop Package, Gloss Black Grille, Silver Accent Stitching, Black Headlamp Bezels, Front Fog Lamps, Rear Fascia Scuff Pad, Highline Door Trim Panel, Automatic Headlamps, Premium Interior Accents, Remote Start System, Security Alarm, Security Group, Leather Wrapped Shift Knob, Uconnect Voice Command w/Bluetooth, Bluetooth Streaming Audio, Remote USB Port, Leather Wrapped Steering Wheel, Sirius Satellite Radio, 1-Yr SiriusXM Radio Service, For More Info, Call 888-539-7474, 2ND ROW STOW'N GO BUCKET SEATS 3rd Row Stow 'N Go w/Tailgate Seats, POWER 8-WAY DRIVER SEAT Power 2-Way Driver Lumbar Adjust, TRANSMISSION: 6-SPEED AUTOMATIC 62TE (STD), ENGINE: 3.6L V6 24V VVT (FFV) (STD).WHY BUY FROM USBaxter Chrysler Dodge Jeep Ram Bellevue, a full-service car dealership in Bellevue, is your source for new cars, trucks and SUVs both online and in our showroom. We also sell used vehicles and certified pre-owned vehicles. At our 7713 South 19th Circle location, we also provide Mopar parts and auto repair service. We're part of Baxter Auto GroupFuel economy calculations based on original manufacturer data for trim engine configuration. Please confirm the accuracy of the included equipment by calling us prior to purchase. Third Row Seat, CD Player, iPod/MP3 Input, Fourth Passenger Door, Dual Zone A/C, Back-Up Camera, TRANSMISSION: 6-SPEED AUTOMATIC 62TE, ENGINE: 3.6L V6 24V VVT (FFV), QUICK ORDER PACKAGE 29H SE PLUS, 2ND ROW STOW'N GO BUCKET SEATS, Rear Air. Indigo Blue Clear Coat exterior, SE Plus trim. 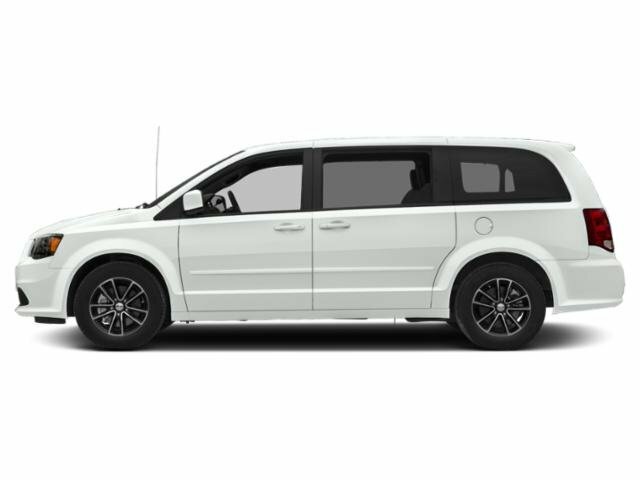 FUEL EFFICIENT 25 MPG Hwy/17 MPG City!KEY FEATURES INCLUDEThird Row Seat, Rear Air, Back-Up Camera, iPod/MP3 Input, CD Player, Aluminum Wheels, Dual Zone A/C, Fourth Passenger Door Rear Spoiler, Keyless Entry, Privacy Glass, Child Safety Locks.OPTION PACKAGESQUICK ORDER PACKAGE 29H SE PLUS Engine: 3.6L V6 24V VVT (FFV), Transmission: 6-Speed Automatic 62TE, Floor Console w/Cupholder, Instrument Panel w/Piano Black Applique, Blacktop Package, Gloss Black Grille, Silver Accent Stitching, Black Headlamp Bezels, Front Fog Lamps, Rear Fascia Scuff Pad, Highline Door Trim Panel, Automatic Headlamps, Premium Interior Accents, Remote Start System, Security Alarm, Security Group, Leather Wrapped Shift Knob, Uconnect Voice Command w/Bluetooth, Bluetooth Streaming Audio, Remote USB Port, Leather Wrapped Steering Wheel, Sirius Satellite Radio, 1-Yr SiriusXM Radio Service, For More Info, Call 888-539-7474, 2ND ROW STOW'N GO BUCKET SEATS 3rd Row Stow 'N Go w/Tailgate Seats, BLACK SIDE ROOF RAILS Integrated Roof Rail Crossbars, TRANSMISSION: 6-SPEED AUTOMATIC 62TE (STD), ENGINE: 3.6L V6 24V VVT (FFV) (STD).MORE ABOUT USBaxter Chrysler Dodge Jeep Ram Bellevue, a full-service car dealership in Bellevue, is your source for new cars, trucks and SUVs both online and in our showroom. We also sell used vehicles and certified pre-owned vehicles. At our 7713 South 19th Circle location, we also provide Mopar parts and auto repair service. We're part of Baxter Auto GroupFuel economy calculations based on original manufacturer data for trim engine configuration. Please confirm the accuracy of the included equipment by calling us prior to purchase. Entertainment System, Third Row Seat, Back-Up Camera, iPod/MP3 Input, CD Player, Rear Air, 2ND ROW STOW'N GO BUCKET SEATS, Quad Bucket Seats. FUEL EFFICIENT 25 MPG Hwy/17 MPG City! SE trim, Black Onyx Crystal Pearl Coat exterior READ MORE!KEY FEATURES INCLUDEThird Row Seat, Rear Air, Back-Up Camera, iPod/MP3 Input, CD Player Rear Spoiler, Third Passenger Door, Privacy Glass, Keyless Entry, Steering Wheel Controls.OPTION PACKAGES2ND ROW STOW'N GO BUCKET SEATS 3rd Row Stow 'N Go w/Tailgate Seats, SINGLE DVD ENTERTAINMENT Wireless Headphones (IR), Video Remote Control, 2nd Row Overhead DVD Console, High Definition Multimedia Interface, 115V Auxiliary Power Outlet, 2nd Row Overhead 9 VGA Video Screen, Charge Only Remote USB Port, Sirius Satellite Radio, 1-Yr SiriusXM Radio Service, For More Info, Call 888-539-7474, UCONNECT HANDS-FREE GROUP Leather Wrapped Shift Knob, Uconnect Voice Command w/Bluetooth, Bluetooth Streaming Audio, Remote USB Port, Leather Wrapped Steering Wheel, ENGINE: 3.6L V6 24V VVT (STD), TRANSMISSION: 6-SPEED AUTOMATIC 62TE (STD).EXPERTS CONCLUDEEdmunds.com explains This is a minivan with enough luxuries and features to handle all-day drives. Seat comfort, especially in the first two rows, is very good.. Great Gas Mileage: 25 MPG Hwy.WHY BUY FROM USBaxter Chrysler Dodge Jeep Ram Lincoln, a full-service car dealership in Lincoln, is your source for new cars, trucks and SUVs both online and in our showroom. We also sell used vehicles and certified pre-owned vehicles. At our 6601 Telluride Drive location, we also provide Mopar parts and auto repair service. We're part of Baxter Auto, the largest dealer group in Nebraska.Fuel economy calculations based on original manufacturer data for trim engine configuration. Please confirm the accuracy of the included equipment by calling us prior to purchase. Third Row Seat, Bluetooth, Keyless Start, TRANSMISSION: 9-SPEED 948TE AUTOMATIC... ENGINE: 3.6L V6 24V VVT, AIR CONDITIONING W/3 ZONE TEMP CONTRO... iPod/MP3 Input, Back-Up Camera. L trim, Bright White Clear Coat exterior. SEE MORE!KEY FEATURES INCLUDEThird Row Seat, Back-Up Camera, iPod/MP3 Input, Bluetooth, Keyless Start. 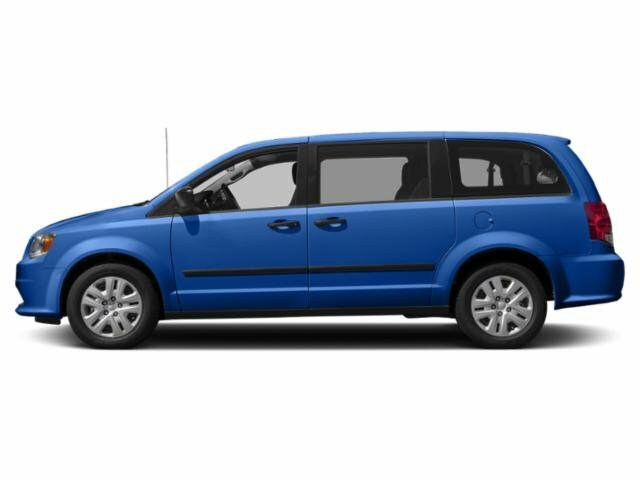 Rear Spoiler, MP3 Player, Third Passenger Door, Keyless Entry, Privacy Glass.OPTION PACKAGESAIR CONDITIONING W/3 ZONE TEMP CONTROL Rear Air Conditioning w/Heater, TRANSMISSION: 9-SPEED 948TE AUTOMATIC (STD), ENGINE: 3.6L V6 24V VVT (STD).WHY BUY FROM USBaxter Chrysler Dodge Jeep Ram West Dodge, a full-service car dealership in Omaha, is your source for new cars, trucks and SUVs both online and in our showroom. We also sell used vehicles and certified pre-owned vehicles. At our 17950 Burt Street location, we also provide Mopar parts and auto repair service. We're part of Baxter Auto, the largest dealer group in Nebraska.Please confirm the accuracy of the included equipment by calling us prior to purchase. Third Row Seat, Keyless Start, Bluetooth, TRANSMISSION: 9-SPEED 948TE AUTOMATIC... ENGINE: 3.6L V6 24V VVT, AIR CONDITIONING W/3 ZONE TEMP CONTRO... iPod/MP3 Input, Back-Up Camera. Velvet Red Pearl Coat exterior, L trim. CLICK ME!KEY FEATURES INCLUDEThird Row Seat, Back-Up Camera, iPod/MP3 Input, Bluetooth, Keyless Start Rear Spoiler, MP3 Player, Third Passenger Door, Keyless Entry, Privacy Glass.OPTION PACKAGESAIR CONDITIONING W/3 ZONE TEMP CONTROL Rear Air Conditioning w/Heater, TRANSMISSION: 9-SPEED 948TE AUTOMATIC (STD), ENGINE: 3.6L V6 24V VVT (STD).MORE ABOUT USBaxter Chrysler Dodge Jeep Ram West Dodge, a full-service car dealership in Omaha, is your source for new cars, trucks and SUVs both online and in our showroom. We also sell used vehicles and certified pre-owned vehicles. At our 17950 Burt Street location, we also provide Mopar parts and auto repair service. We're part of Baxter Auto, the largest dealer group in Nebraska.Please confirm the accuracy of the included equipment by calling us prior to purchase. 3rd Row Seat, Keyless Start, Bluetooth, TRANSMISSION: 9-SPEED 948TE AUTOMATIC... ENGINE: 3.6L V6 24V VVT, AIR CONDITIONING W/3 ZONE TEMP CONTRO... iPod/MP3 Input, Back-Up Camera. L trim, Granite Crystal Met. Clear Coat exterior. READ MORE!KEY FEATURES INCLUDEThird Row Seat, Back-Up Camera, iPod/MP3 Input, Bluetooth, Keyless Start Rear Spoiler, MP3 Player, Third Passenger Door, Keyless Entry, Privacy Glass.OPTION PACKAGESAIR CONDITIONING W/3 ZONE TEMP CONTROL Rear Air Conditioning w/Heater, TRANSMISSION: 9-SPEED 948TE AUTOMATIC (STD), ENGINE: 3.6L V6 24V VVT (STD).MORE ABOUT USBaxter Chrysler Dodge Jeep Ram West Dodge, a full-service car dealership in Omaha, is your source for new cars, trucks and SUVs both online and in our showroom. We also sell used vehicles and certified pre-owned vehicles. At our 17950 Burt Street location, we also provide Mopar parts and auto repair service. We're part of Baxter Auto, the largest dealer group in Nebraska.Please confirm the accuracy of the included equipment by calling us prior to purchase. Third Row Seat, Fourth Passenger Door, Smart Device Integration, Blind Spot Monitor, AIR CONDITIONING W/3 ZONE TEMP CONTRO... TRANSMISSION: 9-SPEED 948TE AUTOMATIC... ENGINE: 3.6L V6 24V VVT, Back-Up Camera, Keyless Start, Bluetooth. EPA 28 MPG Hwy/18 MPG City! L trim, Bright White Clearcoat exterior and Black/Alloy interiorKEY FEATURES INCLUDEThird Row Seat, Back-Up Camera, iPod/MP3 Input, Bluetooth, Keyless Start, Fourth Passenger Door, Smart Device Integration, Blind Spot Monitor. Rear Spoiler, MP3 Player, Keyless Entry, Privacy Glass.OPTION PACKAGESAIR CONDITIONING W/3 ZONE TEMP CONTROL Rear Air Conditioning w/Heater, TRANSMISSION: 9-SPEED 948TE AUTOMATIC (STD), ENGINE: 3.6L V6 24V VVT (STD). Chrysler L with Bright White Clearcoat exterior and Black/Alloy interior features a V6 Cylinder Engine with 287 HP at 6400 RPM*.EXPERTS RAVEEdmunds.com explains The ride is comfortable, settled and seldom interrupted by small or large road imperfections. Whether you're making the daily commute or spending a long weekend on the highway, the inside of the Pacifica is a pleasant place to be.. Great Gas Mileage: 28 MPG Hwy.WHY BUY FROM USBaxter Chrysler Dodge Jeep Ram Bellevue, a full-service car dealership in Bellevue, is your source for new cars, trucks and SUVs both online and in our showroom. We also sell used vehicles and certified pre-owned vehicles. At our 7713 South 19th Circle location, we also provide Mopar parts and auto repair service. We're part of Baxter Auto Group, the largest dealer group in Nebraska.Horsepower calculations based on trim engine configuration. Fuel economy calculations based on original manufacturer data for trim engine configuration. Please confirm the accuracy of the included equipment by calling us prior to purchase. DVD Entertainment System, 3rd Row Seat, Bluetooth, Satellite Radio, Dual Zone A/C, Remote Engine Start, SINGLE REAR OVERHEAD DVD SYSTEM, Alloy Wheels, TRANSMISSION: 9-SPEED 948TE AUTOMATIC... ENGINE: 3.6L V6 24V VVT UPG I W/ESS, Rear Air. Touring Plus trim, Jazz Blue Pearl Coat exterior. FUEL EFFICIENT 28 MPG Hwy/19 MPG City!KEY FEATURES INCLUDEThird Row Seat, Quad Bucket Seats, Power Liftgate, Rear Air, Back-Up Camera, Satellite Radio, Bluetooth, Aluminum Wheels, Remote Engine Start, Dual Zone A/C, Power Fourth Passenger Door, Smart Device Integration, Blind Spot Monitor Rear Spoiler, Keyless Entry, Remote Trunk Release, Privacy Glass.OPTION PACKAGESSINGLE REAR OVERHEAD DVD SYSTEM overhead 10 LCD TFT screen, single-disc DVD player, AUX inputs (HDMI, USB, RCA Jack, video camera, CD, MP3 and video games), 2 headphones and a remote control, TRANSMISSION: 9-SPEED 948TE AUTOMATIC (STD), ENGINE: 3.6L V6 24V VVT UPG I W/ESS (STD).EXPERTS ARE SAYINGEdmunds.com explains The ride is comfortable, settled and seldom interrupted by small or large road imperfections. 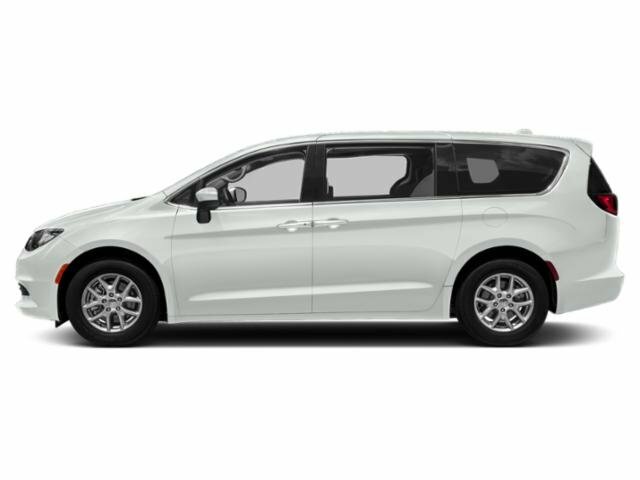 Whether you're making the daily commute or spending a long weekend on the highway, the inside of the Pacifica is a pleasant place to be.. Great Gas Mileage: 28 MPG Hwy.Fuel economy calculations based on original manufacturer data for trim engine configuration. Please confirm the accuracy of the included equipment by calling us prior to purchase. 3rd Row Seat, Fourth Passenger Door, Smart Device Integration, Blind Spot Monitor, AIR CONDITIONING W/3 ZONE TEMP CONTRO... ENGINE: 3.6L V6 24V VVT, TRANSMISSION: 9-SPEED 948TE AUTOMATIC... Back-Up Camera, Bluetooth, Keyless Start, iPod/MP3 Input. Ocean Blue Metallic exterior, L trim. EPA 28 MPG Hwy/18 MPG City!KEY FEATURES INCLUDEThird Row Seat, Back-Up Camera, iPod/MP3 Input, Bluetooth, Keyless Start, Fourth Passenger Door, Smart Device Integration, Blind Spot Monitor. Rear Spoiler, MP3 Player, Keyless Entry, Privacy Glass.OPTION PACKAGESAIR CONDITIONING W/3 ZONE TEMP CONTROL Rear Air Conditioning w/Heater, TRANSMISSION: 9-SPEED 948TE AUTOMATIC (STD), ENGINE: 3.6L V6 24V VVT (STD).EXPERTS CONCLUDEGreat Gas Mileage: 28 MPG Hwy.WHY BUY FROM USBaxter Chrysler Dodge Jeep Ram Bellevue, a full-service car dealership in Bellevue, is your source for new cars, trucks and SUVs both online and in our showroom. We also sell used vehicles and certified pre-owned vehicles. At our 7713 South 19th Circle location, we also provide Mopar parts and auto repair service. We're part of Baxter Auto Group, the largest dealer group in Nebraska.Fuel economy calculations based on original manufacturer data for trim engine configuration. Please confirm the accuracy of the included equipment by calling us prior to purchase. Third Row Seat, Entertainment System, Bluetooth, Satellite Radio, Dual Zone A/C, Remote Engine Start, Back-Up Camera, ENGINE: 3.6L V6 24V VVT UPG I W/ESS, WHEELS: 20 X 7.5 ALUMINUM BLACK NOI... S APPEARANCE PACKAGE, Power Liftgate. Touring Plus trim, Velvet Red Pearl Coat exterior. FUEL EFFICIENT 28 MPG Hwy/19 MPG City!KEY FEATURES INCLUDEThird Row Seat, Quad Bucket Seats, Power Liftgate, Rear Air, Back-Up Camera, Satellite Radio, Bluetooth, Remote Engine Start, Dual Zone A/C, Power Fourth Passenger Door, Blind Spot Monitor, Smart Device Integration. Rear Spoiler, Privacy Glass, Remote Trunk Release, Keyless Entry.OPTION PACKAGESWHEELS: 20 X 7.5 ALUMINUM BLACK NOISE Falken Brand Tires, Tires: 245/50R20 BSW AS (TYK), Locking Lug Nuts, S APPEARANCE PACKAGE Body Color Door Handles, Bridgestone Brand Tires, Premium Fascia Upper/Lower Grille w/Black Surround, S Badge, Wheels: 18 x 7.5 Aluminum Black Noise, Black Spear Rear Fascia Applique, Black Chrysler Grille Wing Badge, Black Badging, Leather Wrapped Steering Wheel, Tires: 235/60R18 BSW AS (TV1), Black Day Light Opening Moldings, SINGLE REAR OVERHEAD DVD SYSTEM overhead 10 LCD TFT screen, single-disc DVD player, AUX inputs (HDMI, USB, RCA Jack, video camera, CD, MP3 and video games), 2 headphones and a remote control, TRANSMISSION: 9-SPEED 948TE AUTOMATIC (STD), ENGINE: 3.6L V6 24V VVT UPG I W/ESS (STD).MORE ABOUT USBaxter Chrysler Dodge Jeep Ram Bellevue, a full-service car dealership in Bellevue, is your source for new cars, trucks and SUVs both online and in our showroom. We also sell used vehicles and certified pre-owned vehicles. At our 7713 South 19th Circle location, we also provide Mopar parts and auto repair service. We're part of Baxter Auto Group, the largest dealer group in Nebraska.Fuel economy calculations based on original manufacturer data for trim engine configuration. Please confirm the accuracy of the included equipment by calling us prior to purchase.